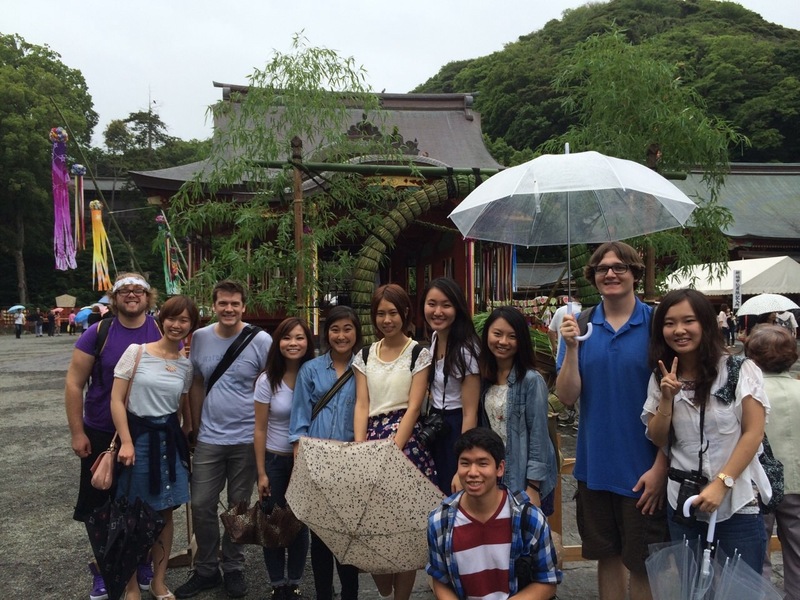 We arrived in Japan in mid-June, right in the middle of the rainy season. 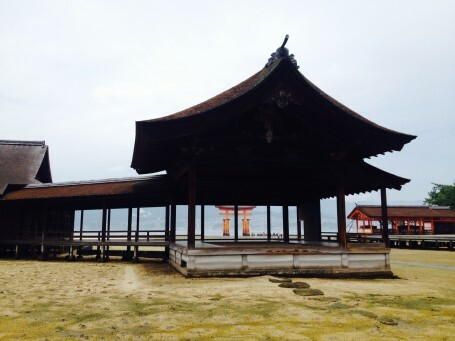 This rainy season is called tsuyu (梅雨, “plum rain”) in Japan, and it is a very unique climate in East Asia. From late May to July, Japan transforms gradually from spring to summer. The humidity increases, and rain showers become more and more unpredictable. For those of us from Southern California, the tsuyu season could be considered unbearable, even though it was not too hot in terms of temperature. Because of the high humidity, it was really stuffy and felt like we were in a steam room or sauna. The sweat stays on your skin, never evaporating, and it becomes really sticky. I also learned a Japanese term that is specific for this kind of weather: mushiatsui (蒸し暑い, “steaming hot”). The unpredictable rain also tricked a lot of us. There was one day when at least half of us arrived at class wet, because it had not looked like it was going to rain when we had departed from the hotel, and many of us did not even think about bringing an umbrella. From this perspective, I would say that I really dislike tsuyu weather. However, when it comes to visiting temples and shrines, tsuyu season is definitely the best time to go. After a rain, the air becomes fresher, and dust has been washed away by the rainwater. It feels like the entire place becomes purified and ready for us to visit. 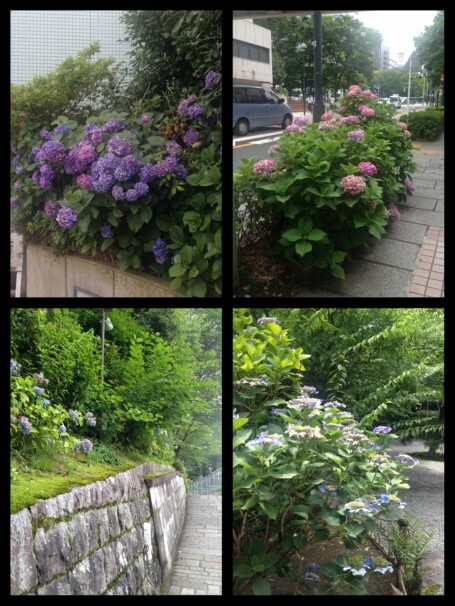 Tsuyu season is also the time for hydrangea to bloom. 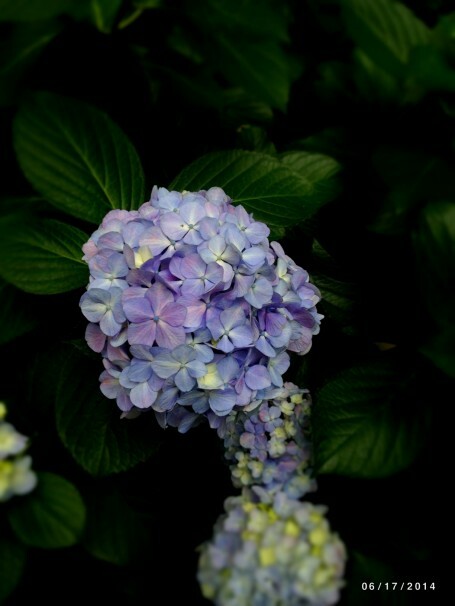 Hydrangea is one of the symbols of the Japanese summer. These purple and green flowers are found everywhere in Japan, and they also figure prominently in literature and music. Some places even use them as an attraction in the summer. 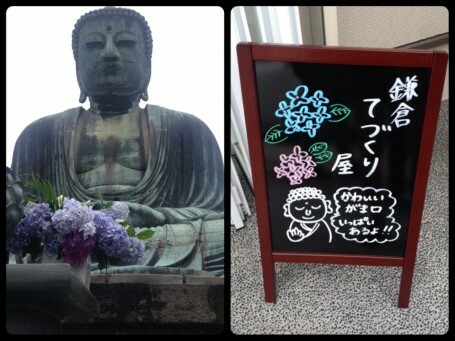 For example, when a group of us went to Kamakura with a group of Meiji students, I found that hydrangea were depicted together with the city’s historical shrines and Grand Buddha statue (Daibutsu) on things like postcards and signs. 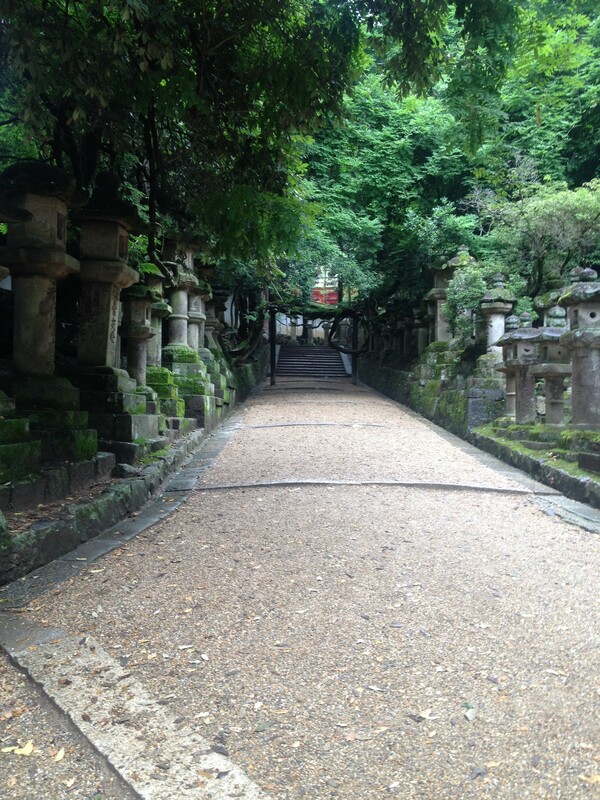 This entry was posted in Culture, Exploring by geajapan. Bookmark the permalink.